For more Hannah Newbery go to her tumblr. 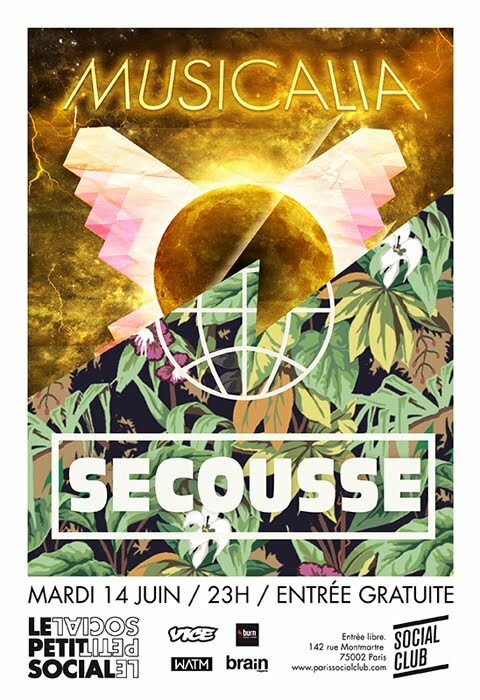 >TONIGHT IN PARIS, SECOUSSE VS MUSICALIA!!!! IT’S ON! 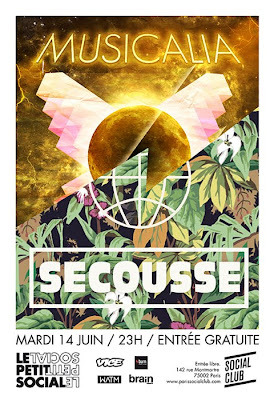 Musicalia VS Secousse at Social Club in Paris. Get involved!!! check our Facebook event for more info. Last night was lots of fun! the first night of Musicalia was super chilled with great people and great music! Dj Tron’s set was awesome, he just went for all things Tropic mixing from disco to disco! coupe decale, salsa, calypso! Now Im looking forward to the next one with the almighty Todd Dalston Oxfam Shop, playing the best Late 90’s house! Many thanks to everyone who made it to the Moustache bar and lets keep it our local venue for fun stuff. Now…Tonite is another night and another partee! 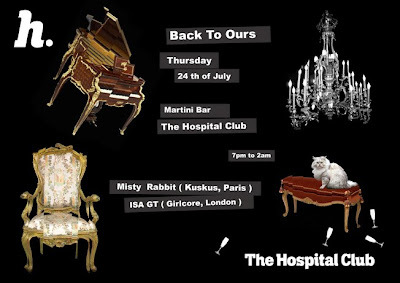 Im gonna be playing at the hospital club in covent garden with the super talented MISTY RABBIT (Paris) that girl really know how to bring the party together, I’m sure its gonna be great, if you’ll like to come just rsvp to my myspace. My new night MUSICALIA launches this Wednesday 23rd of July with a very special guest! 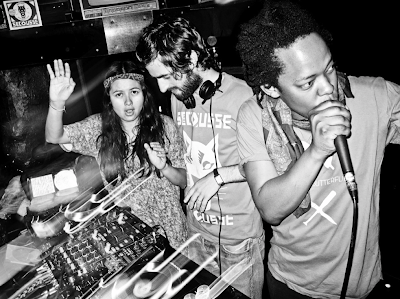 DJ TRON AKA Etienne from the fantastic duo RADIOCLIT is gonna be playing a TROPICAL special set! I’ll be the resident dj and will be inviting some of my good friends to play whatever genre they love the most. 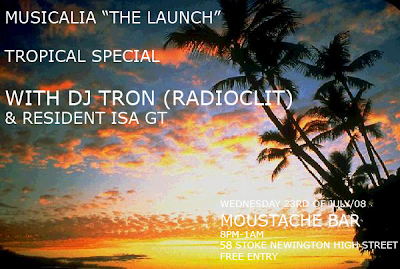 MUSICALIA is gonna take place at the very new MOUSTACHE BAR in Dalston (LDN) every 1st and 3rd Wednesday of the month and is gonna change genre of music on every edition! The entry is FREE and the night promises to be a new breath for the local scene, doors open at 8pm, Come!